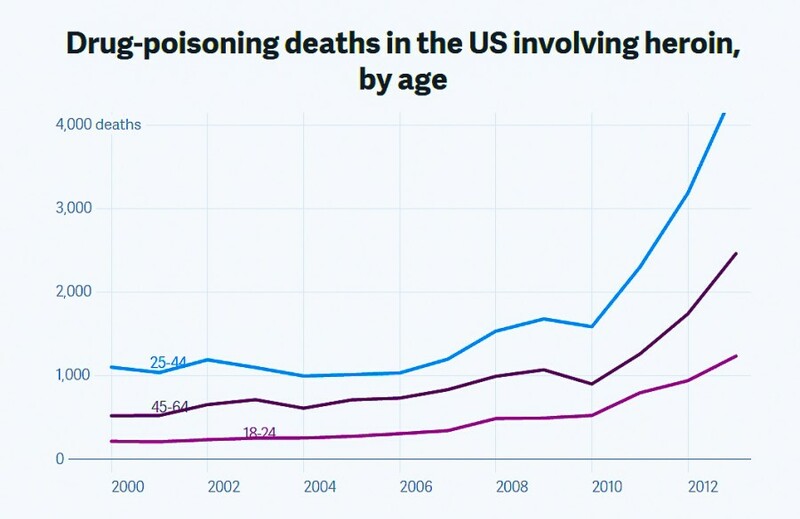 Abuse of prescription opiate drugs in 'Merica has been prominent news for a while, but the lesser publicized concomitant is the rise or perhaps better described as a relapse into heroin use. 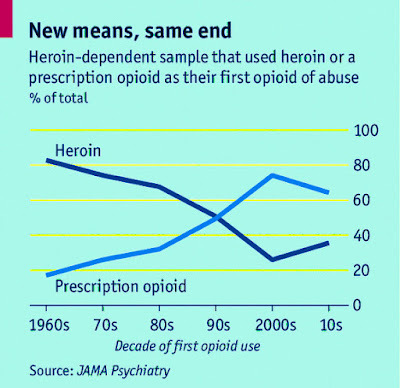 Part of the reason for increases in heroin use is the drug's cheaper price than opiate prescriptions which users can substitute for opiate drugs since they are similar in chemical composition and effect. The profile of an 'Merican hooked on heron has change completely in the last fifty years. Horse was once the drug of choice by poor, young black men. 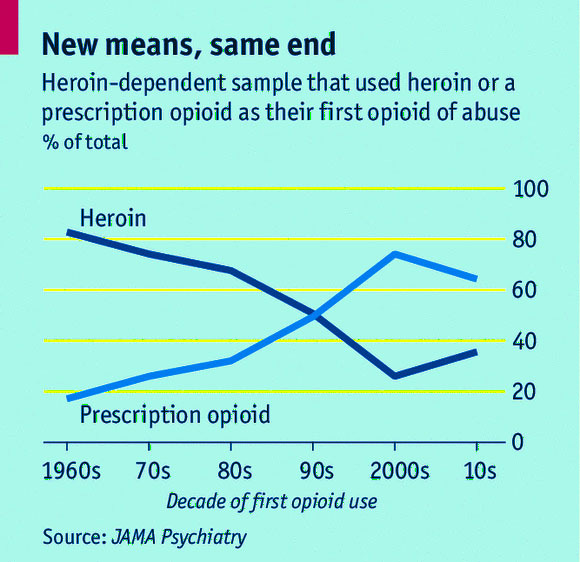 Now, 90% of heroin users are white, and more than half women. 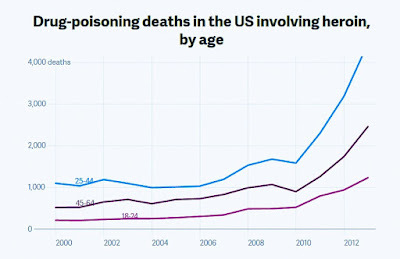 Eighteen to twenty-five-years-old is still the dominant age category of heroin users.